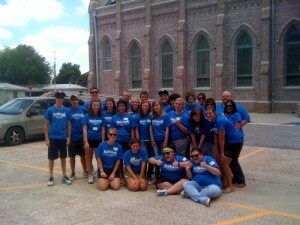 Our youth group here at Sacred Heart enjoys attending the conference every year for a faith-filled weekend. Youth from all over the country travels here in the South to attend this event for prayer, inspiration, and faith. Ask your youth director for more information. We also need adult chaperones to volunteer every year. Thanks. 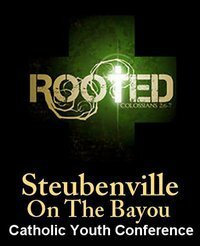 Many of our youth attend Steubenville on the Bayou every year. 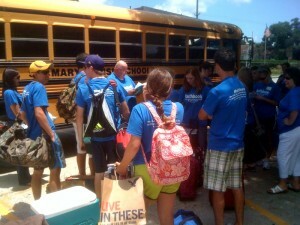 Below are pictures of the group getting ready for the bus ride to Houma, La on June 17th, 2011. The website link below created by Kerry Chenier has also captured the 2011 Rooted event at the Houma Civic Center.